"Traditional Longboards" capture the classic lines of the halcyon days of long boards. 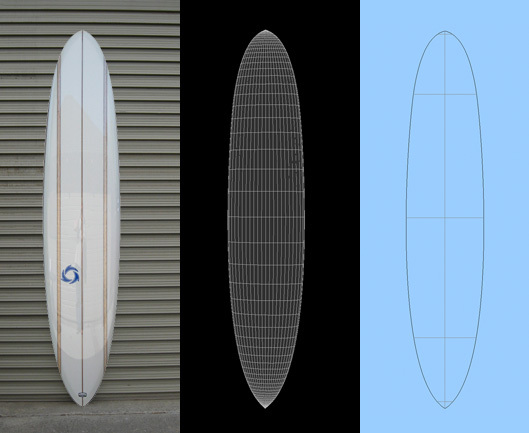 Low rocker profiles, full outlines, high volume, convex bottoms, neutral rails, and large - deep single fins are the essential design components of the Classic Longboard. High density foam and volan cloth yield a weighty board that trims and nose rides with ease. Dimensions: 9' 10" x 22 3/4" x 3 1/4"